At just 22 years old, Timothee Chalamet has shown early glimpses of being a superstar. He has become a heartthrob, a Oscar nominee and a hot commodity in Hollywood. Though to due to his age, he has starred in mostly coming of age roles like Call Me By Your Name. However, Chalamet has proved he has the ability to blend into any role he takes on. He has delivered astounding performances for an actor who is so new to the scene. It’s clear he has a deep understanding of how to inhabit and really dive deep into a character. Overall, he had an incredible career thus far. So with that, here is a look at five of his very best performances. In 2016, we got a glimpse of Chalamet’s potential in the indie drama Miss Stevens. Julia Hart’s film tells the story of a dedicated teacher who helps her students with a drama competition. Chalamet gave a rousing monologue in the film that shows us an early gravitas to his acting abilities. Chalamet’s quiet introvert is one of the best parts of the movie. It’s a smaller role for him but he still manages to be memorable in the film. It is a textured and mature performance and he plays well against Lily Rabe who leads the film. Wise beyond his years in the movie, he gave us a look into what he would become over the last few years. Though the movie feels largely superficial and highly derivative of better teen dramas, Chalamet manages to inject some semblance of earnestness into Hot Summer Nights. A colorful and nostalgic movie, Elijah Bynum’s coming of age movie pits Chalamet as a drug dealer who gets in over his head. As mentioned above, this movie isn’t something you’ve never seen before. Nonetheless, the movie is elevated by the work of its cast, principally Chalamet. He still manages to be magnetic and charismatic even in a role that requires him to be shy and naive. The movie is worth a watch for his performance alone. As an angsty, pretentious teenager whom the films title character becomes enamored with, Chalamet nails it. Playing Kyle, Chalamet expertly manages to take in insufferable character, and breathe life into him. Though he doesn’t necessarily have any arc to speak of, Chalamet makes you believe he is this kid. You have to give the character some credit for being tough in his convictions, even though they are pretty despicable. Regardless, though he is just getting started, Chalamet played a bit against type here moving away from the shy teenager in the previous and next movies on this list. Proving to be able to handle emotional themes well beyond his years, Chalamet’s work as young Elio in Call Me By Your Name is understated, but never muted in its impact. In perhaps, one of the most emotional final shots in recent movie memory. The long take of faces in close-up is one of the most memorable moments in film in 2017. He has incredible chemistry with Armie Hammer and their performances are just flat out pure. Call Me By Your Name is another fine example of the emotionally complex roles that Chalamet has proven he can take on early in his career. With his most recent film, Chalamet gives a heartbreaking and believable performance as a drug addict. Playing a real person, Chalamet pulls so much raw emotion out of his stunning performance. Opposite Steve Carell, Chalamet’s work is powerful, genuine and altogether moving. Chalamet exudes a piercing sense of authenticity. Beautiful Boy captures the draining emotional toll on the families of addicts and the addicts themselves very well. However, in a movie that may not be as memorable as you want it to be, Chalamet’s performance will certainly stick with you long after leaving the theater. 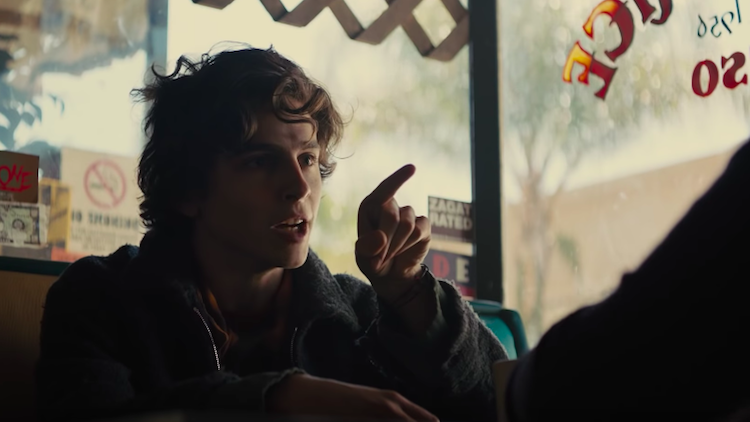 At such a young age, he has proven his talents are immense, and never on display better than in Beautiful Boy. The post Top 5 Timothee Chalamet Movies appeared first on ComingSoon.net.